Deviated septa are very common, affecting more than 3 million people in the United States each year. A deviated septum is defined as the sideways displacement of the wall between your nostrils. Read on for a look at the symptoms, causes, diagnosis, and treatments for this condition. 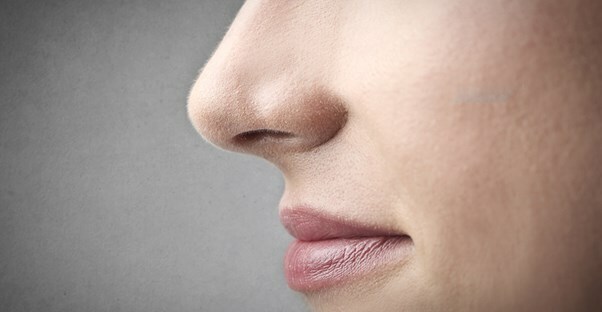 Obstruction in one or both nostrils: Sometimes, having a deviated septum can obstruct the nasal passage and make it difficult to breathe through one or both nostrils. Facial pain: If a deviated septum is severe and impacts the inside nasal wall, this can lead to one-sided facial pain. Preference for sleeping on a particular side: If you prefer to sleep on a particular side because you are able to breathe better at night, this could be due to having a deviated septum that narrows one of your nasal passages. Noisy breathing during sleep: This is especially common in infants and children who have a deviated septum. Nosebleeds: Deviated septa can lead to the surface of the nasal septum becoming very dry, which will increase your risk for nosebleeds. There are two reasons that a deviated septum could occur. It could happen during fetal development and be present at birth, or it could be the result of an injury to your nose that causes the nasal septum to be moved out of position. Trauma to the nose most commonly occurs during contact sports, active play, or automobile accidents. If you have a deviated septum, it is also likely to worsen as you get older. Doctors are usually able to diagnose a deviated septum simply by examining the inside of your nose using a bright light and an instrument called a nasal speculum to spread open your nostrils. Your doctor may also refer you to an ear, nose, and throat (ENT) specialist for further consultation and treatment options. Treatment for a deviated septum will depend on the severity of the symptoms it is causing. Sometimes, treatment is unnecessary if you are not exhibiting any. Initial treatment will typically focus on managing the symptoms the deviated septum is causing by using decongestants, antihistamines, and nasal steroid sprays. However, medications are not a permanent fix for a deviated septum, and sometimes surgical repair is necessary to correct the problem. The best way to prevent injuries to your nose that often lead to a deviated septum is to take certain precautions. This could include wearing a helmet with a face mask when playing contact sports such as hockey or football and wearing a seat belt when your are riding in a vehicle.